Where I live it’s the beginning of real spring, meaning no longer in the bare-branches-and-daffodils phase, but light green leaves and buds everywhere. Knitwise, that’s bittersweet, because I’m really a sweater knitter and this year my design goal is more garments and less distraction with accessories. 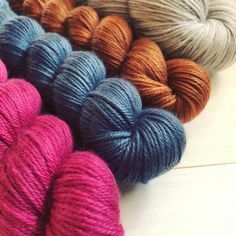 HOWEVER, the urge to put away thick & heavy things also leads to reinvestigation of all those light & lovely yarns like single skeins of sock, and silk blend lace. 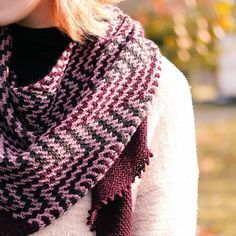 So my strategy for spring-into-summer knitting is to begin some new shawls out of lightweight yarns, while also keeping up garments by making a few spring sweaters. Preferably outdoors enjoying the garden.